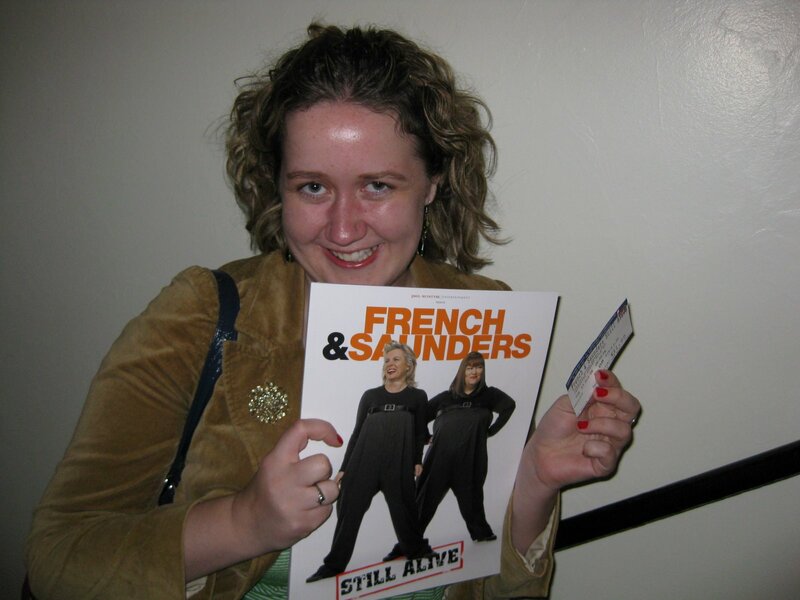 So, I have a tiny love affair going on with French and Saunders (Dawn French, of the Vicar of Dibley and Jennifer Saunders, of Absolutely Fabulous; both also do sketch comedy together [for those not tuned in to the BritCom world comme moi]). 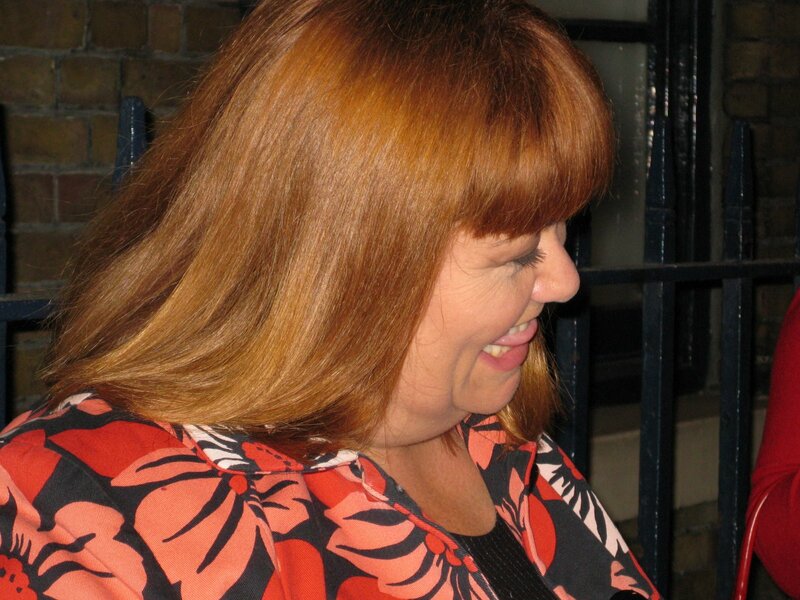 AND, they were performing for the past 3.5 weeks at Theatre Royal Drury Lane and I live on Drury Lane (or Dreary Lane, as they called it in their show, and it has been quite dreary here lately), so it was like fate! And I got to see them perform TWICE!! It was amazing. I went with my friend Jen, who I know from Canada, the first time. 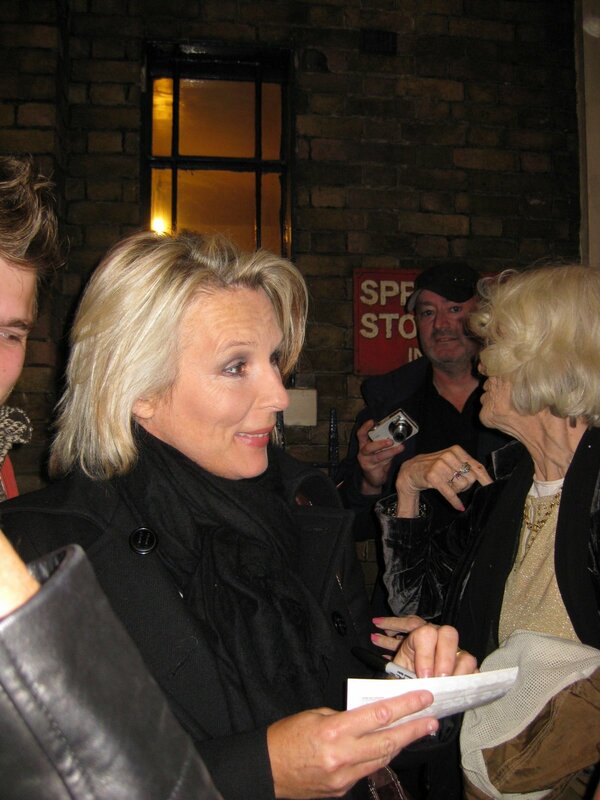 And she had a lot of fun watching me freak out as my two comedy heroines came onstage! 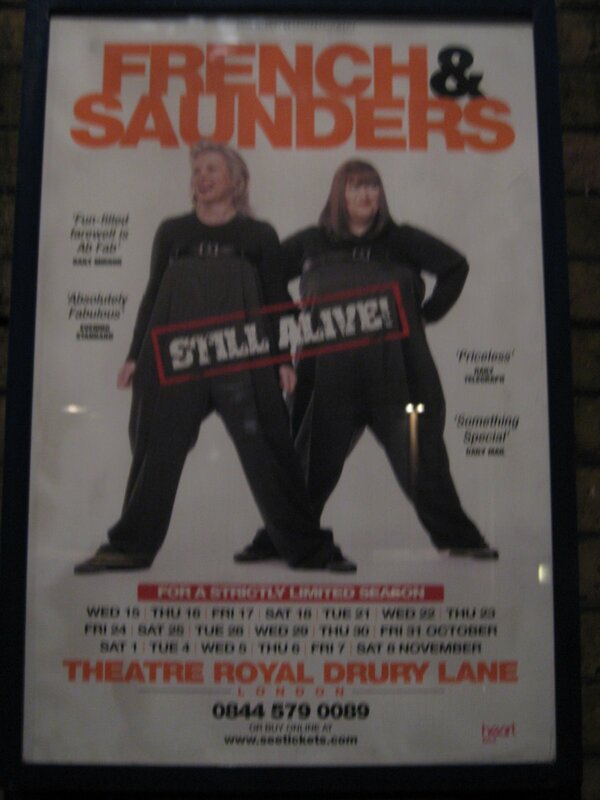 And after the show, we went out to the stage door to meet French and Saunders!! 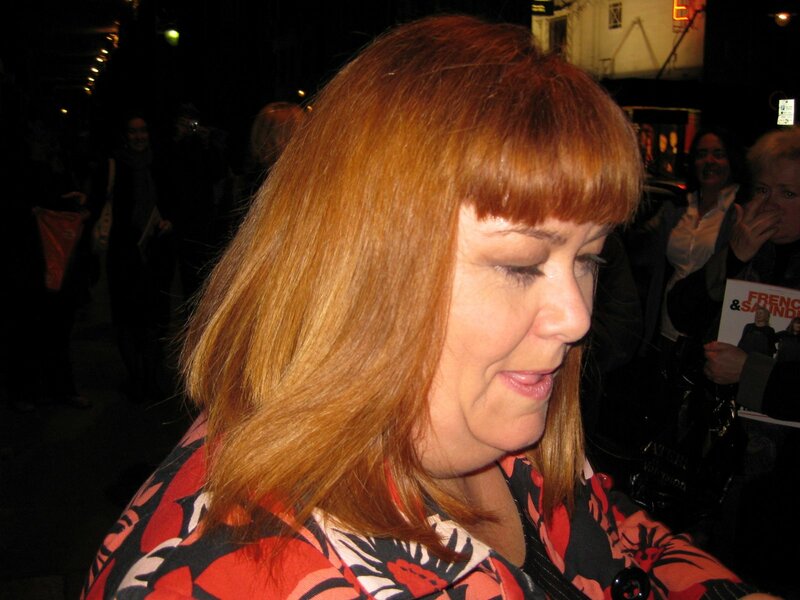 Again, looking slightly frantic, standing beside Dawn French. 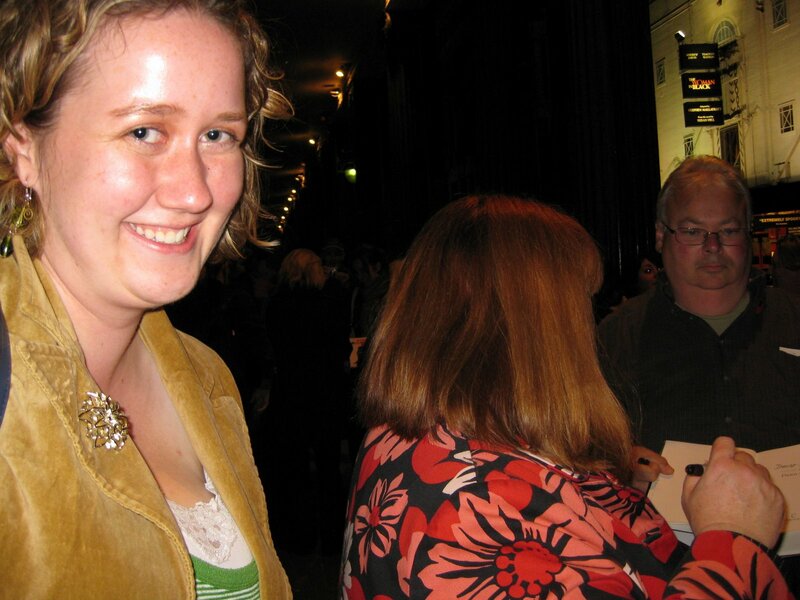 And again, looking slightly manic, with my signed program! It was SUCH an amazing night!!! Posted on November 11, 2008, in London Life 2008-9, Pop Culture. Bookmark the permalink. Leave a comment.